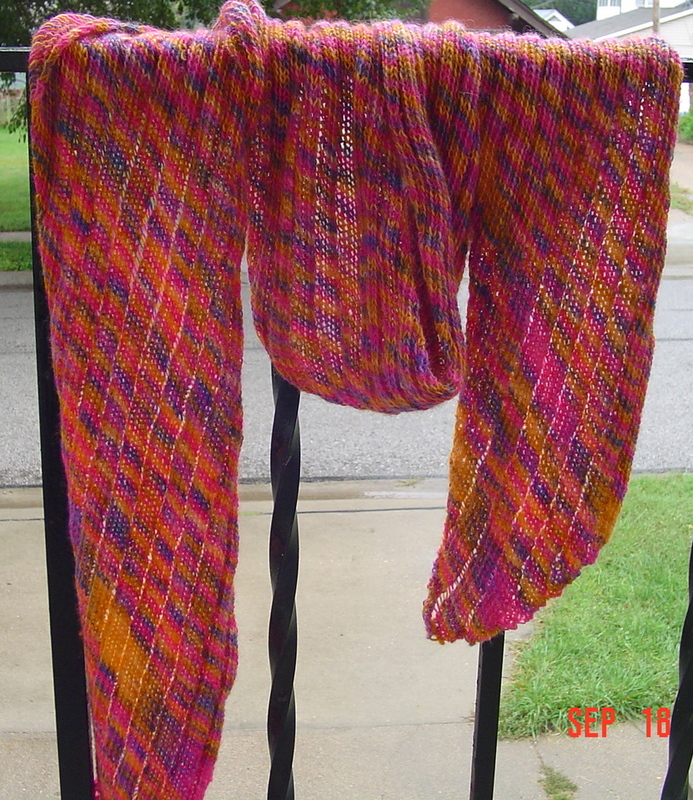 I have never made a Clapotis! Maybe it’s time. What a cute little one you have! Those colors suit her exactly. The Clapotis is a lot of fun, but be careful of your yarn choice. Anything even remotely feltable will be a real pain to drop stitches with. My first Clapotis was handmaiden mini maiden, single ply wool/silk. Talk about a nightmare! It remains my favorite scarf though, so I don’t complain. 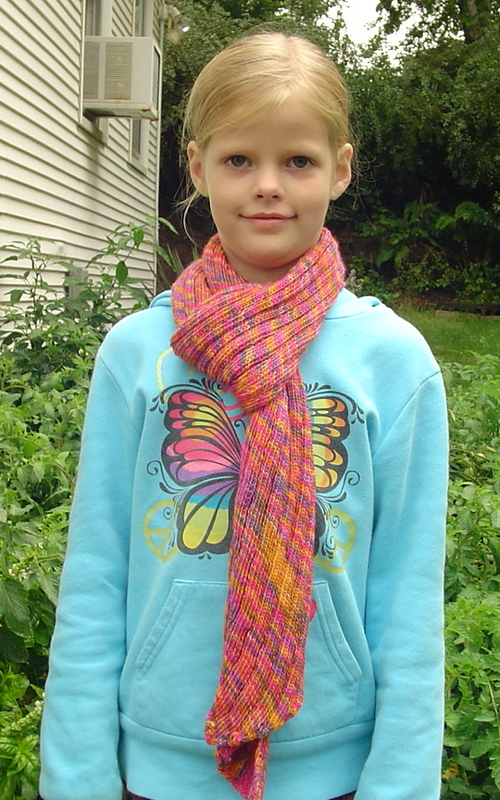 I knit it way back in 2007. This one was actually fun due to the yarn being hearty and the drop stitches just zipping right down the scarf.